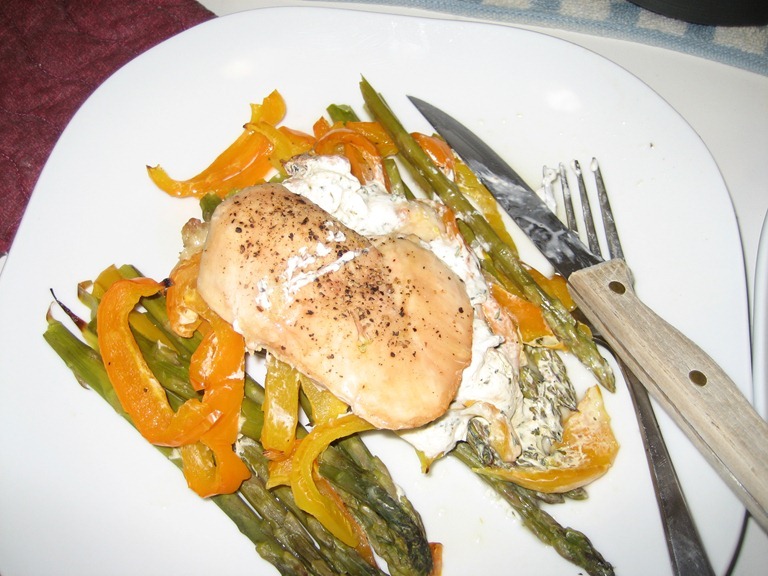 I’ve had some failures and some success with low carb recipes recently, so I wanted to share a few that I thought turned out well and will be in my “make again” pile. 1. Slit chicken breasts down the side to create a “pocket” (being careful not to cut all the way through). 4. Get out some parchment paper (foil will also work, but can only be used in the oven) to create packages. 5. 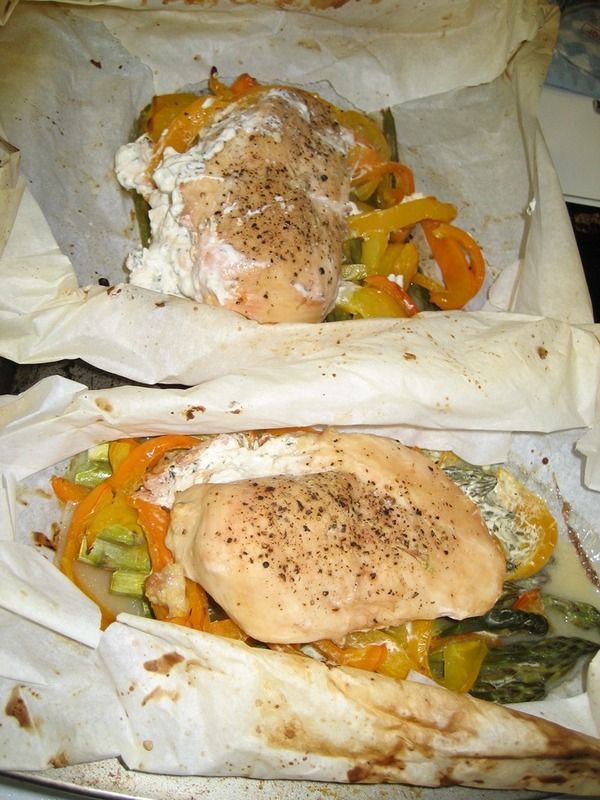 Place veggies at base of parchment paper, then place stuffed chicken on top. 6. 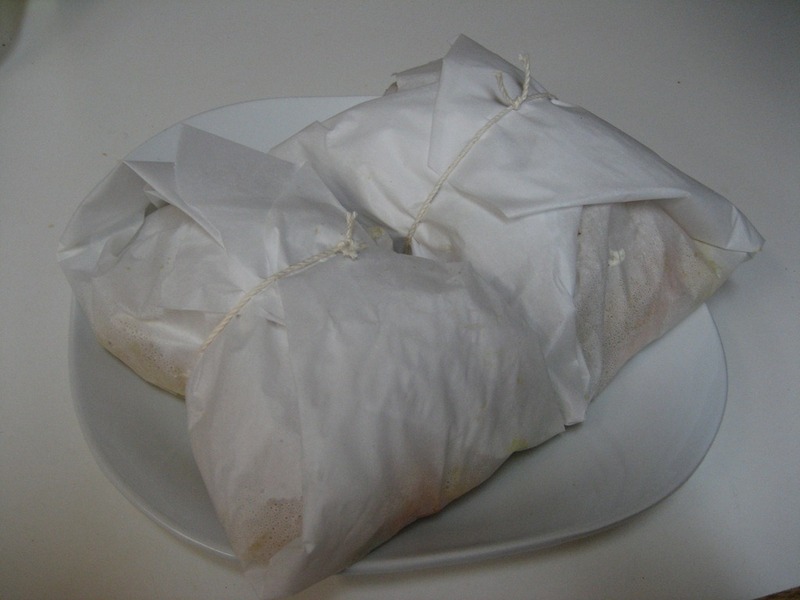 Wrap up your creation (use rope to tie if using parchment paper). 7. At this point, these packages can either be placed in the oven (350 degrees for approx 1 hour) or you can speed things up by throwing them in the microwave for 8 minutes, then finishing in the oven for 30 minutes. We went the micro/oven route. Alternatively, you could probably cook the whole thing in the microwave without sacrificing much. The parchment paper helps the chicken retain it’s moisture, you’d just have to test out different cooking times. 8. Oven method: Turn up the temp to 425 and unwrap packages in the last 5-10 minutes of baking to get some nice color to the chicken. Here’s how’s our looked. Next time, I think I’ll use a vegetable that stands up to longer cook times better, such as spinach or kale or even fresh broccoli. The asparagus was good, but it was definitely well done by the end. 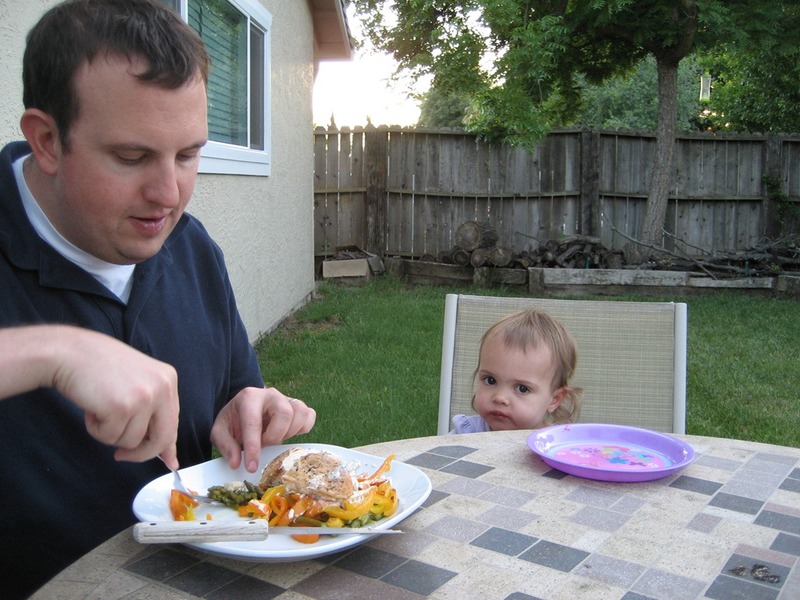 Everyone approved… it was a yummy dinner. C is impatiently waiting for Ben to cut her some food. I love the look on her face. Success! 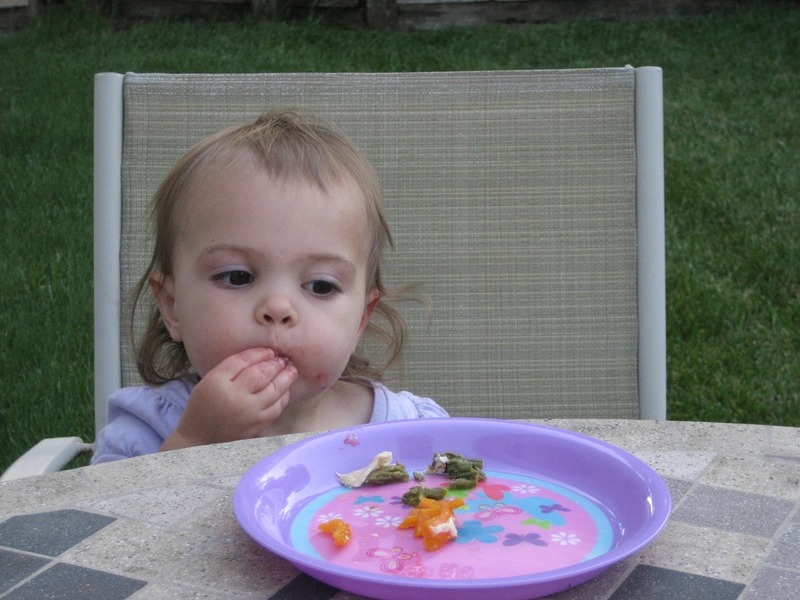 C grubs on some food. Yum. The next recipe that I loved was a Tea Jelly recipe. I found it embedded in a Milk Tea Jelly recipe – I expected to like that one a lot more, but ended up loving the plain tea jelly so much more! I did use nonfat milk in mine instead of cream (as the original recipe calls for), so that may have made mine less luscious. Regardless, the Tea Jellies are a lovely dessert and very refreshing. 1. Heat water in a saucepan until boiling, then turn off. 2. Add tea bags and allow to steep for about 10 minutes. Then remove tea bags and discard. 4. Place gelatin in a small bowl. Spoon some of the tea mixture in to the gelatin to allow it to soften. Then, pour gelatin in to saucepan. 5. Stir well and pour into small dessert dishes or molds (silicon works well). 6. Chill for 2 hours or until set.